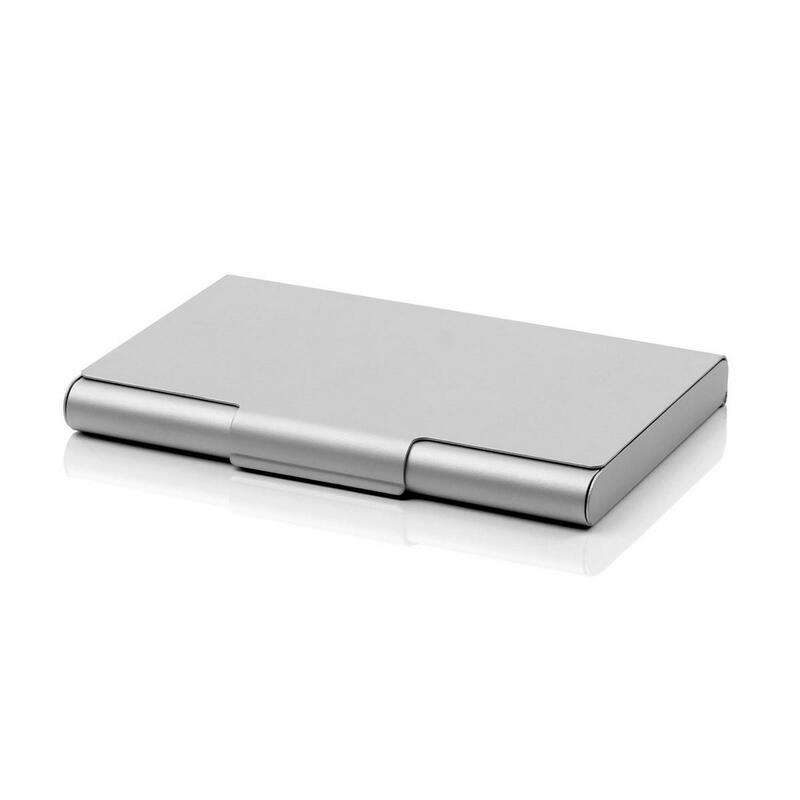 A sleek and minimal case for 20 of your business cards. 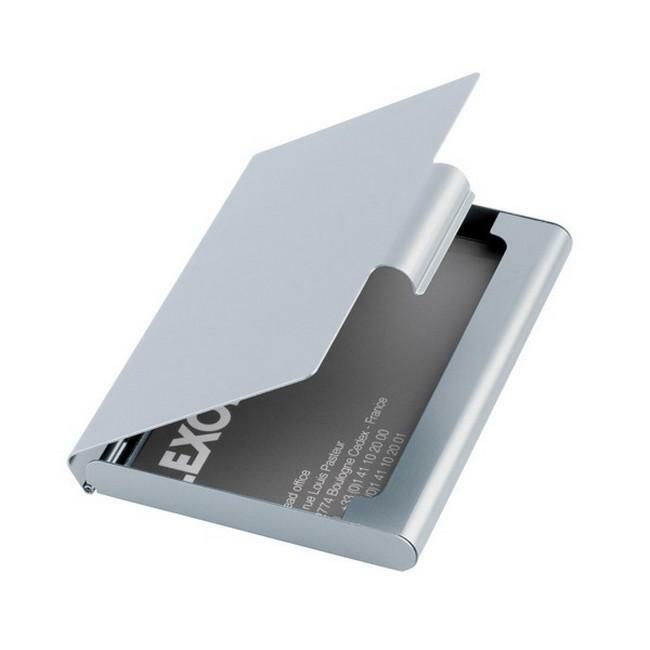 Made of aluminum in natuiral smooth silver color, Card Box for business cards by LEXON is an extremely light and elegant case to keep your business cards. 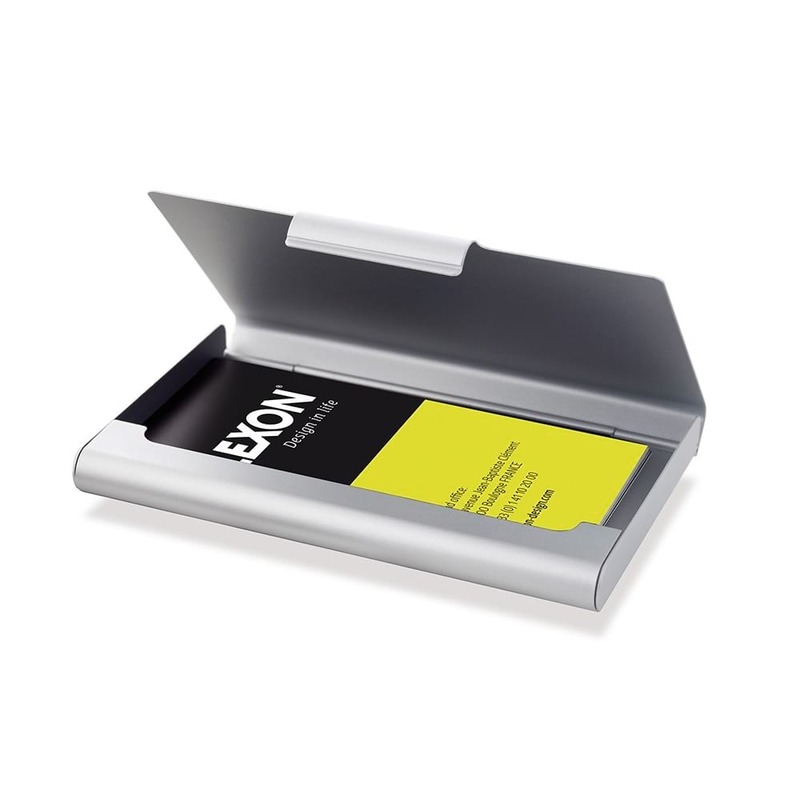 Small and compact, the Card Box fits up to 20 standard business cards. 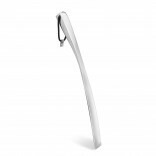 The design impresses with its simplicity, durability, and ease of use. Fits up to 20 standard business cards. Size (cm) : 9,3 x 6,2 x 0,9 cm. Size (inches) : 3.66 x 2.44 x 0.35 inch.